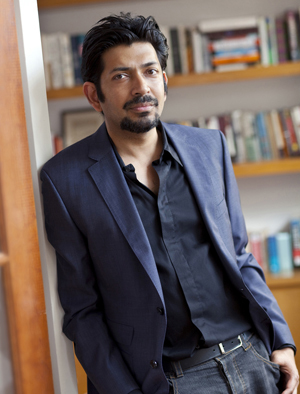 TAMPA, Fla. -- Pulitzer Prize winning author and noted cancer researcher Dr. Siddhartha Mukherjee will visit the University of South Florida as part of the Frontier Forum lecture series presented by USF Phi Beta Kappa Alumni Faculty. Mukherjee’s lecture will begin at 6:30 p.m. on Tuesday, Sept. 27, 2011, in the Interdisciplinary Sciences Auditorium room 1051. Mukherjee will be discussing his book, “The Emperor of All Maladies: A Biography of Cancer,” which won a 2011 Pulitzer Prize. The book discusses the evolution of diagnosis and treatment of human cancers from ancient Egypt to the latest developments in chemotherapy and targeted therapy today. The book was listed in O, the Oprah Magazine’s Top 10 Books of 2010, as well as the Top 10 Best Books of 2010 by The New York Times and Top 10 Nonfiction Books by Time magazine. Currently a professor of medicine at Columbia University and a staff cancer physician at Columbia University Medical Center, Mukherjee was born in New Delhi, India. He attended Stanford University for his undergraduate degree in biology, went to Harvard Medical School where he earned his medical degree, and won a Rhodes scholarship to attend Oxford to earn his Ph.D. in immunology. The lecture is free and open to the public. Please be advised that seating is very limited at this event. The Frontier Forum, presented by the USF Phi Beta Kappa Alumni Faculty and supported by the Office of the Provost, is part of the Frontiers of Knowledge. Founded in 2011 by the College of Arts and Sciences, the Frontiers of Knowledge is a collection of special events that showcase local, national and international experts on a broad range of topics that are currently on the public agenda.